Bookstores are my favorite places to shop! (OK, yarn stores and tea shops are right up there too.) That’s why I was excited about this promotion. Family Christian sent me a $25 coupon to use either shopping at a physical location, or through their website. Since I live in the sticks, there were no physical stores anywhere close by. No problem, I’m used to shopping online when I need books! Family Christian’s website had a wide selection of books, music, Bibles, and DVDs to choose from. They have a number of the new, popular journaling Bibles too! I finally settled on ordering a copy of Where Hope Prevails by Janette Oke & Laurel Oke Logan, and Give Your Child the World: Raising Globally Minded Kids One Book at a Time by Jamie C. Martin. I placed my order on August 8th, but as of August 18th, I have not yet received it. Now, Give Your Child the World is a special order item, so I knew that it would take longer to ship out before I placed my order. Special order items are clearly marked as such on the product information page, and keep in mind that ordering one will slow down the shipment of your order. I received a shipping confirmation for my order on August 12th, but there is no tracking information available for my shipment. I was happy with the selection offered on Family Christian’s site, and they offer free shipping for orders that are $50 or more. I do wish that their website had the option to filter out products that are listed as only available in stores, or are special order items. I looked at a number of items that turned out to be product that were only sold at the physical stores. It was a bit frustrating not to know that until clicking on a product and checking the description. Currently, Family Christian is offering a buy one, get one 50% off sale on their website. This is a great sale, particularly if you have an order that qualifies for free shipping. Shipping isn’t as fast as the Amazon Prime that has completely spoiled us, so you’ll have to decide how important shipping speed is to you. Overall, shopping at the Family Christian website was a fairly good experience. If you’re not willing to wait a bit for your order to arrive though, you might be happier shopping at a physical location. They do have a nice rewards program for repeat shoppers that you might want to look into, and it applies to both in-store and online purchases! That’s an excerpt from my most recent review on the Home Educating Family review site. Click here to read the rest! Read the rest of my review over at the Home Educating Family website! You can read the rest of my review at Home Educating Family’s website. While you’re there, enter to win your own copy of Simply Grammar! Congratulations to Erin! She won a copy of the Well Planned Day planner from Home Educating Family! 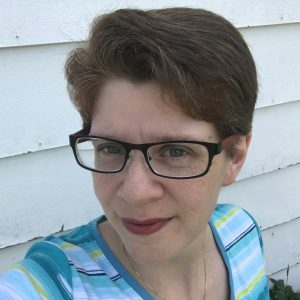 I’ve had such a fun time participating in the blog hop, and I’d like to thank Home Educating Family for hosting it and offering our readers all the really wonderful prizes! You can read the rest of my review over at the Home Educating Family website. While you’re there, be sure to take a look at the blog, and consider signing up for e-mail updates so that you don’t miss anything! You can subscribe to the daily posts, or just get a weekly e-mail with all the highlights. You’ll definitely want to sign up to be notified of all of the fantastic giveaways though!